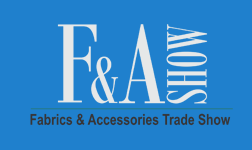 Now into its 15th edition, the F&A Show has a proven track record of bringing the best suppliers from India and overseas to showcase a wide variety of apparel fabrics, trims & accessories for the domestic and international markets. Over the years, exhibiting companies have appreciated the response they have eicited from discerning buyers. The Karnataka Trade Promotion's sprawling venue in Whitefield will host the F&A Show. The Venue is strategically located, providing quick and unhindered access from various parts of the city, airport and railway station. The main exhibition hall is surrounded by landscaped gardens and also ample parking making for an ideal setting for a trade show. Major star and non-star hotels are located in the vicinity which cuts down travel time and provides best of the city's facilities for after-hours relaxation.